The gymnogene in the left upper photo was attacked by a mountain buzzard near the buzzard's nest (Nou Forest, 10-14). 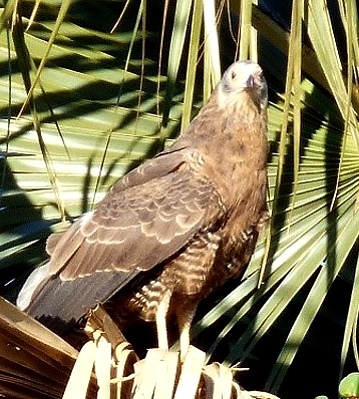 The juvenile was seen at Lake Eyasi (1-14), courtesy of Chris Schmeling. 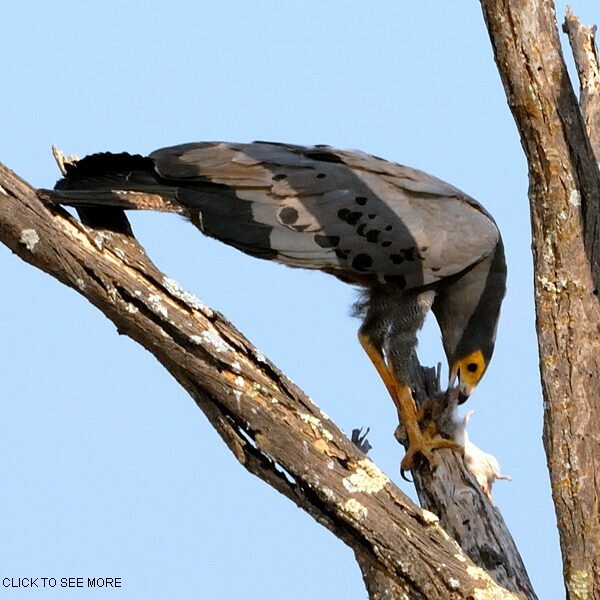 The adult below flew into the dead tree and sought out an acacia rat that was in a cavity under the large fork. 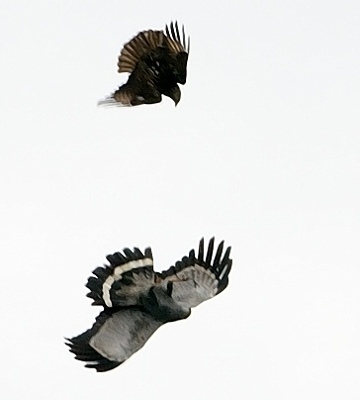 It eventually caught it but flew off with the rat when a tawny eagle dove from above. The tawny dove a second time and the hawk dropped the rat. The tawny did not retrieve the rat. Click the image above to see a slideshow that includes more of this activity.